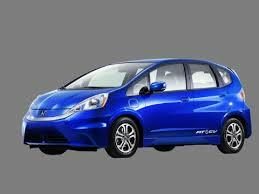 Honda is recalling certain model year 2012-2013 Honda Fit Sport vehicles manufactured May 23, 2011, through March 22, 2013. The electronic stability control system of the affected vehicles may allow excessive yaw rates at high steering angles with certain tires. Thus, these vehicles fail to conform to the requirements of Federal Vehicle Motor Safety Standard No. 126, "Electronic Stability Control Systems." Got a lemon Honda Fit? Want a new Honda?